I'm going to wax poetic about pie for a second. I love pie. I, generally, prefer it over cake. When I speak about my love of pie...I'm not really talking about fruit pies, those are more Michael's thing. I love a good dessert pie. Peanut butter pie. Chocolate pies. Oreo pie. The good stuff. Rich and dense and always with some delicious crust! Ohhhh the crust. Buttery, rich, sweet, delicious crusts. Dear dessert pies...I love you. Now I'm gonna say an ode to s'mores. Oh s'mores. Toasted marshmallow-so ooey and gooey and sweet yet smoky + crisp, buttery graham goodness + rich, melt-y chocolate=a perfect trifecta of flavor. I love you in your original, campfire form. I love you as brownies. I love you as creme brulee. I love you used in any manner of cookies. I love you in cupcake form. And I love you...as pie. 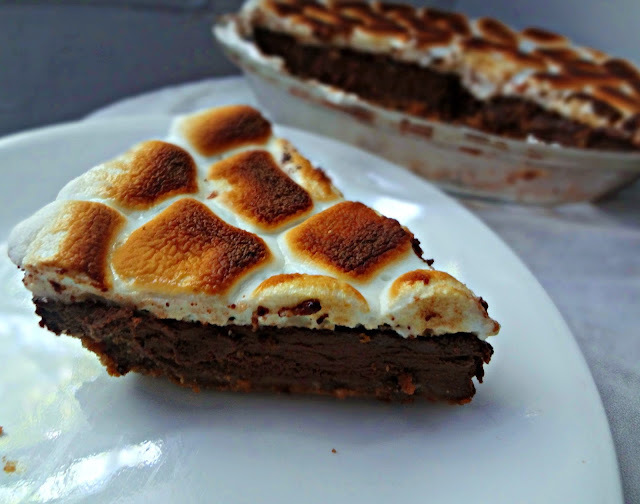 S'mores pie. This is real life. 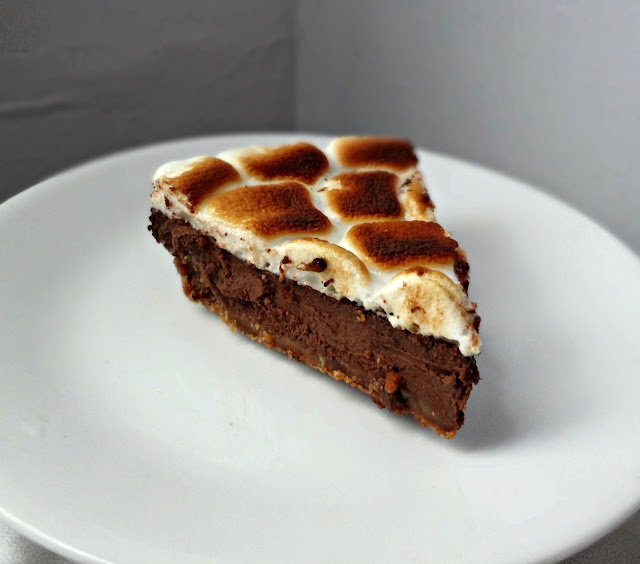 Super buttery, so good you wanna holla (oh yeah I went there), graham cracker crust meets rich, thick, chocolate ganache-y filling and is topped with the sweet perfection of toasted marshmallows. This pie is good chilled, warm, or even hot (although I'm not gonna lie...it's a mess whilst hot)--in this context chilled or slightly warm are the best, but there's really no going wrong here. 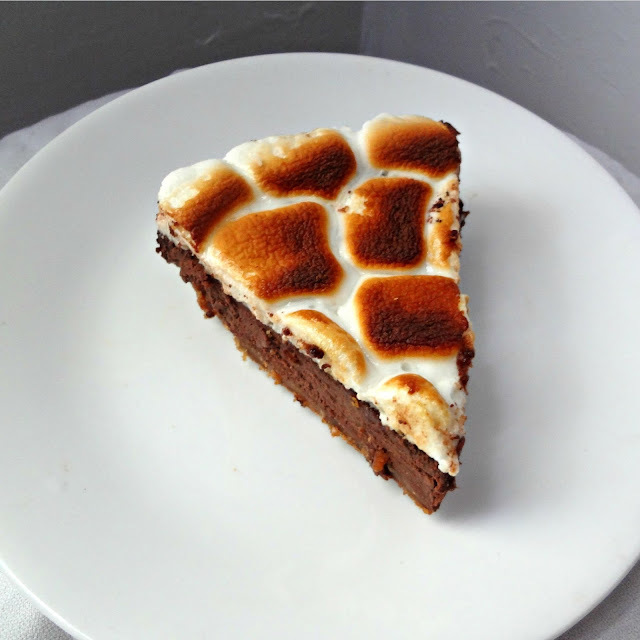 I mean...we're talking about s'mores pie. Oh yeah. Mix graham cracker crumbs and butter and press into a 9 in. pie plate. Bake in a 325 degree oven for 8-10 minutes. In a medium saucepan whisk cream and milk over medium low heat to warm. Stir in chopped chocolate until melted. Slowly add whisked eggs and pinch of salt, stir until smooth. Pour filling into the baked crust. Bake at 325 degrees for 15-20 minutes until the filling is set and doesn't move when shaken. 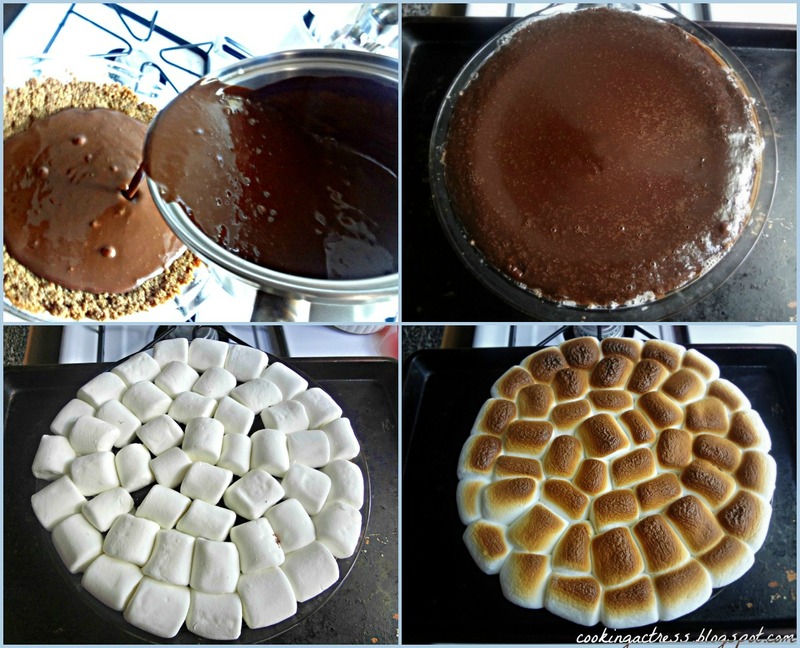 Using whole marshmallows-or cutting marshmallows in half with kitchen scissors-place in concentric circles on top of the pie until it is completely covered (some gaps are fine, the marshmallows will expand some). Set oven to broil. Place the pie under broiler until the marshmallows are lightly toasted. This will take around 2-5 minutes (or less), keep a very close eye on the marshmallows so they don't burn! To slice and serve, spray knife with non-stick cooking spray. Serve cold or warm a cut piece in the microwave for about 10 seconds.